In Washington, D.C. a press conference was held to announce that the LIGO experiment found the gravitational waves predicted by Albert Einstein’s theory of general relativity. Two blacks holes about 1.3 billion light years from Earth merged as a result of a collision emitting those waves. LIGO (Laser Interferometer Gravitational-Wave Observatory) is an instrument designed specifically to detect gravitational waves. It was created in a collaboration between Caltech (California Institute of Technology) and MIT (Massachusetts Institute of Technology) with funding from the American NFS (National Science Foundation). 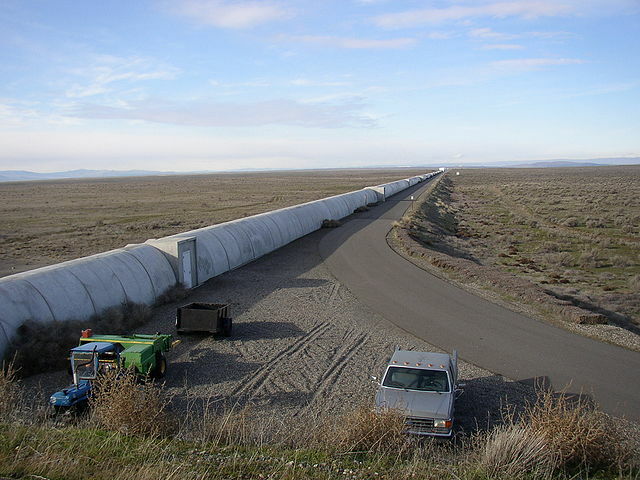 In very simple words, LIGO is a double observatory that uses two interferometers systems: the observatory in Livingstone, Louisiana, and in Hanford, near Richland, Washington. In each observatory there is an L-shaped tunnel in ultra-high vacuum 4 kilometers (about 2.5 miles) long on each side. A system of mirrors and lasers at the ends of each tunnel can detect incredibly tiny movements of the mirrors caused by gravitational waves. We are talking about movements of the order of a fraction of the length of a proton. The two observatories are separated by about 3.002 km (1,865 miles) and if gravitational waves propagate at the speed of light they’ll reach them at slightly different times. The detection attempts with LIGO began in 2002 but until 2010 were unsuccessful. In 2010 an update of the instruments to improve them started and the work resumed with a much higher sensitivity. Since 2007, there’s an agreement with the team that runs Virgo, a similar instrument finished in 2003 in Santo Stefano a Macerata, in the municipality of Cascina, in Italy. Other similar instruments are being built around the world and will improve the detections of gravitational waves. In the event detected by LIGO on September 14, 2015, the characteristics of the detected waves allowed to estimate that the two original black holes had masses around 36 and 29 solar masses. They clashed at an estimated speed around the half of that of light. The resulting black hole has an estimated mass of 62 solar masses. The remaining 3 solar masses were turned into the energy of gravitational waves. Prudence is a must after in March 2014 an announcement came that the BICEP2 experiment had detected gravitational wave perturbations in the cosmic microwave background radiation existing in the universe, later proved a mistake after the necessary checks. 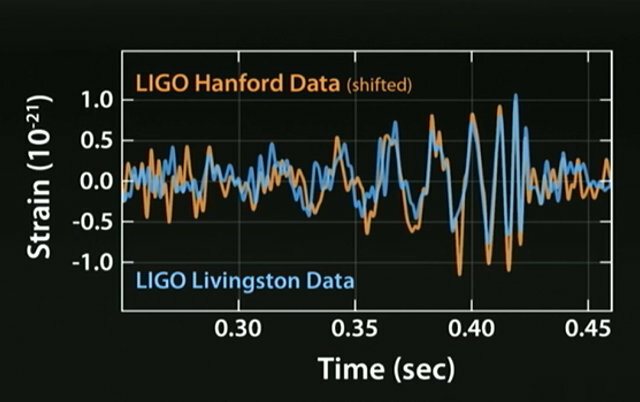 The LIGO experiment is completely different and certainly the results were well cheked-up. This seems like a genuine discovery that can start a new phase in the history of astrophysics in which researchers will study the universe in a different way.